Who should be judging field trials? Judging field trials: When it comes to entering any sort of competition where the outcome is dependent on the opinion of one or more judges, you can guarantee the end result will never meet with universal approval. There will always be those who whinge because success has eluded them or because they feel they’ve been the victim of biased or unfair treatment by those judging field trials. But the row over judging standards at spaniel trials appears to be more about fixing than mere unfairness. If it’s justified there’s nothing wrong with feeling a bit disgruntled over a judge’s decision at a working test or a trial. It’s human nature and I would imagine most of us have been there at some stage. Getting over what we may perceive as being badly done by, and not allowing it to dampen our determination to succeed in the future, is what fires our enthusiasm to go back for more and is the essence of healthy competition. But the spate of accusations which have been levelled at the judging standards operating at spaniel field trials has sparked heated debate. Not only about the validity of those accusations but also about how such contentious issues should be addressed by the Kennel Club (KC) – the governing body of all gundog field trials. When the first suggestions of trial fixing appeared in the pages of the shooting press in late summer they could easily have been dubbed as merely sour grapes. Several comments made to me at the outset inferred they were no more than the moanings of a few bad losers with an axe to grind. But the first salvo against spaniel judging standards triggered a steady flow of similar accounts. It soon became clear there was a case to answer. What has been most surprising is the total lack of any official response – in the broadest terms – from the KC. Are we to believe those who thought they were blowing the whistle on a corrupted system have done little more than vent their annoyance and over-exaggerate the situation? Or does the icy silence from the KC’s London headquarters suggest something more sinister really has been going on and the KC is once again adopting its well-tried stance on public relations of: “If you keep quiet for long enough the problem will go away”? The lack of any official statement certainly sends a very confused message to genuine field trial competitors who enjoy their sport – and stirs even greater concerns among newcomers who’d like to feel the governing body is at least prepared to investigate allegations of corruption. The KC has an important role to play in the world of dogs, but has the time now come for it to acknowledge it is losing the iron grip it has always felt it had on everything which happens on the UK canine scene? Those who simply enjoy their shooting and whose involvement with gundogs is purely an adjunct to their sport would be amazed at the vast volume of regulation the KC invokes across every aspect of the dog world. Anyone who picks up a copy of the monthly edition of Kennel Gazette magazine will quickly realise just how much work it undertakes. But have its almost frenzied attempts to impose total control over the entire world of dogs in the UK simply created a bureaucratic monster? 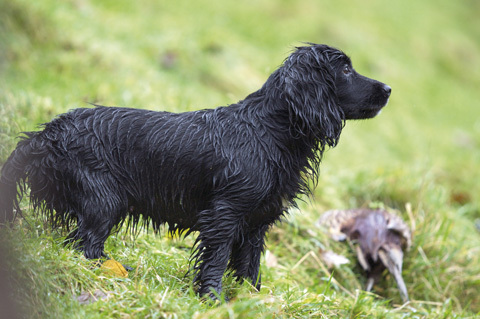 Judging standards at spaniel trials have come under increasing scrutiny. The running of its registration department – which registers over 250,000 dogs in the UK each year – is but a tiny fraction of its self-imposed mandate which also includes the licensing of thousands of dog shows, dog activity events, judging seminars as well as organising Crufts and major events like Discover Dogs. So, for an organisation which regulates every canine activity from fly ball competitions to dog agility – and even holds seminars on sports coaching for agility handlers – is it now time to withdraw from some of the more specialised canine sports and hand over the running of field trails to a new organisation? Presumably any such proposal made in the past would have been immediately shot-down on the basis that the KC’s imperious approach to regulation could never be equalled and standards would be undermined as a consequence of change. But here we are in a situation which has brought precisely that issue into question. Not only are allegations of trial fixing worrying, but it is even more so that the KC, as the sport’s ruling body, has seen fit not to make any statement to alleviate further speculation. As more allegations have emerged, with seemingly no attempt to counter their credibility, it must now be time to open up a constructive debate on the future of field trials in the UK. We live in changing times and things which have been written in stone for generations can no longer remain sacrosanct. If, as has been suggested in the shooting press, the problem of blatant favouritism at spaniel trials, poor standards of judging and an unhealthy collusion between certain senior judges and field trial secretaries has been underway for some considerable time, it seems remarkable the KC and it’s field trial committee has not addressed these matters. Would it be so harmful to the sport if the running of field trials was handed over to another organisation? I doubt it very much, but achieving this may prove extremely difficult unless there is an opportunity for debate and discussion. The KC can be a very officious organisation and in many areas of the canine world it rules with a rod of iron. So why is it such an important issue affecting spaniel trials has been allowed to fester for so long at a time when it has become even more assiduous in imposing layer upon layer of regulation throughout the entire world of dog activities over which it rules? Prizing the organising of field trials away from the KC is never going to be easy, but if there are alternatives which can provide an effective, fair and workable regulatory body, we should be talking about them. Perhaps BASC would like to throw its hat into the ring and make some worthwhile suggestions. Or is there enough determination and commitment to see the sport create its own organisation to run field trials? These are big questions, especially when we all seem to have less and less spare time to devote to new commitments – not to mention the cost involved if a breakaway were to happen. All very hypothetical you may say. But if nothing else comes from the disclosure of long-term judging discrepancies, it has at least given the world of field trials the opportunity to demand an explanation from the KC and to calI for a fresh approach to the sport which must inspire transparency and fairness for the benefit of all.